We have some news today for a new Law & Order series, The Bachelor, Designated Survivor, Married at First Sight, HBOs Ballers, Bridezillas, Insecure and a little bit more. Law & Order: Hate Crimes is set in New York City, where crimes motivated by discrimination are vigorously investigated by an elite, specially trained team of investigators. Going behind the headlines and viral videos, these diverse, dedicated and passionate detectives will stop at nothing to bring these criminals to justice. We'll see it introduced to the L&O realm later on in this season of L&O SVU. With Colton Underwood as the next Bachelor on ABC's The Bachelor, it will be an interesting season, considering he's a virgin. I wonder what ABC will do when the season starts to come to a close... will they still offer him the overnight fantasy suites? And what kind of girl will they get for is season too? It will be a very interesting season, that's for sure. If you had enjoyed the ABC cancelled series, Designated Survivor, starring Kiefer Sutherland, you might want to rejoice. Netflix picked up the show for a third season, and the first two seasons will exist exclusively on the streaming service. I find the synopsis for the upcoming third season to be interesting, as if someone might be making a statement about the present political environment. "President Kirkman (Sutherland) will face a political reality... campaigning. What does it take to make a leader? What price will he be willing to pay? This new season will explore today's world of campaigning, smear tactics, debates, campaign finance and "fake news." Democracy, as we know it, will hang in the balance." Production begins later this year. Married At First Sight franchise on Lifetime has two new shows coming up. One is what looks like their version of Bachelor in Paradise, called Married at First Sight: Honeymoon Island, premiering on October 23. This show plops a bunch of single and compatible folks on the island and we see how things fall out, or in, through the season. 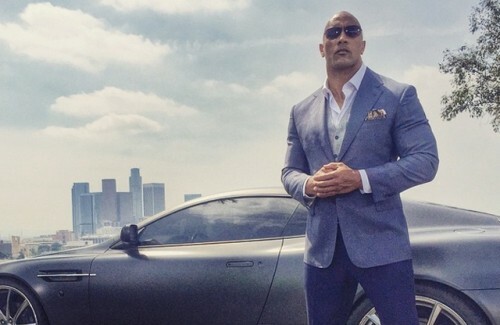 HBO renewed the Dwayne Johnson starrer, Ballers for a fifth season. Insatiable was renewed by Netflix for a second season. HBO renewed Insecure for its fourth season. This is a reminder that yet one more actor is portraying Jack Ryan in Amazon's new offering that's now live to stream, Tom Clancy's Jack Ryan.